Atlanta’s WITHERED have quite literally cooked up some exciting new signature products. The band has partnered with both Burnt Hickory Brewery and Kelly’s Death Pickles to release their own signature beer and relish, respectively. 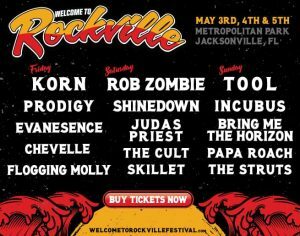 Additionally, the band has several performances scheduled in the U.S. this year, including a hometown appearance at Hammerhead Fest in Atlanta, GA tomorrow, March 30 in which they will be celebrating the release of Grief Relish. The full itinerary and details for the products can be found below. 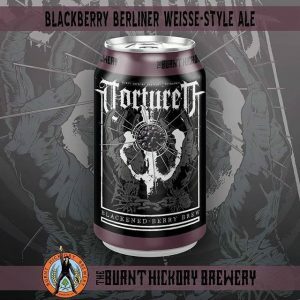 Burnt Hickory Brewery and WITHERED have teamed up to release Tortured Blackened-Berry Brew, a blackberry Berliner Weiss-style beer. As of now, the beer is only available on draft at the brewery, but will eventually be released around Atlanta in several key bar districts. Cans should be available for purchase just in time for Decibel Metal and Beer Fest, which will take place during the weekend of April 13-14 in Philadelphia, PA. WITHERED will be concluding the festivities for the weekend as they headline the Decibel Fest After Party on April 14 at Kung Fu Necktie. Ticket links and additional dates can be found below. For more on Burnt Hickory Brewery, visit their official FACEBOOK and WEBSITE. WITHERED and Kelly’s Death Pickles bring you something extremely unique and fun with Grief Relish, the band’s signature sweet habanero/cucumber pickle relish. Grief Relish will be released tomorrow, March 30, at Hammerhead Fest in the band’s hometown of Atlanta, GA. The relish will be available directly through Kelly’s Death Pickles at THIS LOCATION and at the band’s merch table. Well, it’ll be at the merch table for now “until we shatter a case in our trailer and realize it’s a bad idea,” jokes WITHERED frontman Mike Thompson. 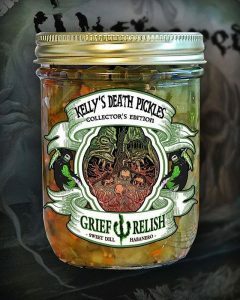 For more on Kelly’s Death Pickles, visit their official FACEBOOK and WEBSITE. WITHERED are touring in support of their recent album, ‘Grief Relic.’ The album, hailed as “a smarter and more sophisticated version of Withered, staking out territory in a more expansive landscape,” (Stereogum) is streaming now at the official WITHERED bandcamp page. The highly anticipated full-length is available across multiple CD and LP formats here.